The perfect solution to any drum transporting need. Features an adjustable beak design which allows it to grab just about any drum -- 30 & 55 gallon steel, plastic or fiber drums. 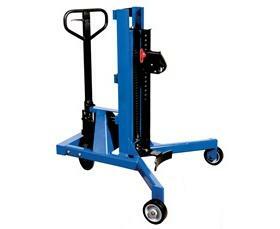 18" vertical lift, drums can be placed or removed from pallets, spill containers and scales. 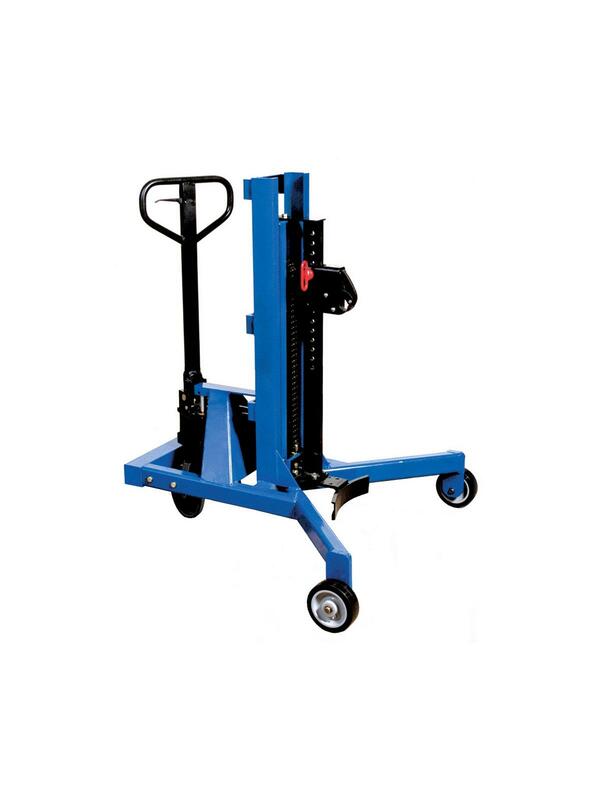 Compact in size for maximum maneuverability in restrictive areas. Unique pallet jack handle design allows quick and familiar operation. Rugged 1000 lb. capacity. Measures 41-9/16"D. x 41-3/4"W. 18" lift height. FOB Shipping Point.